The veteran filmmaker was honoured at this year's Raindance Film Festival. 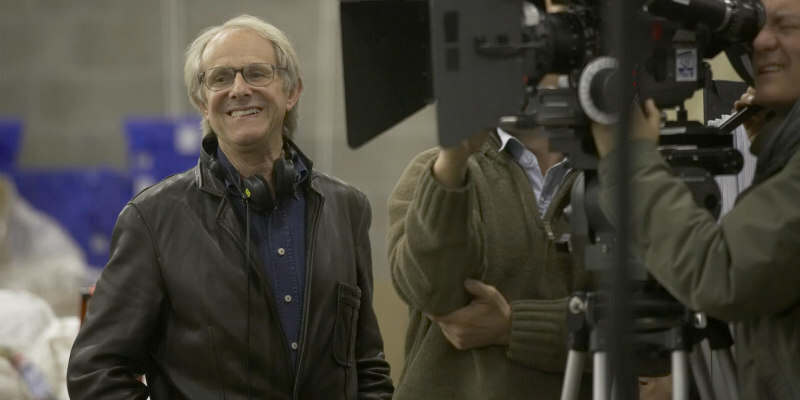 Ken Loach has proved to be an unlikely survivor. Few directors who began their careers in Britain in the 1960s have continued to work so prolifically and inventively into the 21st century. This is all the more remarkable because Loach has remained a steadfast supporter of left-wing social issues in a social climate which has shuffled increasingly towards the right. On 27th September 2016, Raindance Film Festival presented Loach with its first ever ‘Auteur’ Award and hosted an evening where the veteran director talked to us about film-making, politics and the importance of ‘scruffy festivals and creative energy’, alongside film critic Jason Solomons. As we see by the right-wing press’s reaction to his Palme d’Or-winning film I, Daniel Blake, Loach has not lost the political edge to his work and is not afraid to speak out against social inequalities and injustices - his motto being, as he expressed that evening – “If they don’t go after you, you’re not hurting them.” Loach’s films continue to deal predominantly with indigenous and often politically sensitive aspects of British life. Loach asked us to consider contemporary Britain, where increasing numbers of families are dependent on food banks, where poor people cannot afford to heat their homes, where we see underemployment, homelessness and people in their thirties still living with parents, where workers are forced to commute from distant locations while expensive new apartments aimed at rich foreign property investors continue to be built and stand empty. The director stressed that, while cinema can show us a world that is distant, mysterious and exotic, there is also a great need to tell the stories that are taking place on our own doorsteps. “What is it to be an ‘auteur’?” asked Solomon, and clearly, Loach was disconcerted. He stressed that, contrary to the widespread idea of a singular, directorial vision, he himself believes that filmmaking is a collective process and that the director does not need to be and often should not be, also the writer. Loach argued that it is one of the ‘heresies of modern filmmaking’ to feel the need to blend the roles of director and writer. They should be ‘complementary, but not necessarily the same’, he quietly asserted. Through his successful, long-term collaboration with writers such as Paul Laverty and Jim Allen, cinematographer Barry Ackroyd, and a ‘company’ of actors which mixes amateurs with professionals, Loach has reached directorial success through a strong sense of relationships, communal creativity and ensemble acting. He went on to assert that it is the relationships between cast and crew that create most of the authentic moments in his work. Shaping the team’s various contributions into one unified vision is what he considers to be the primary aim of a director or ‘auteur’. Over the course of the conversation, we were treated to a retrospective of his long career, with anecdotes and clips from his films. Loach also talked us through his unique filmmaking process, where the film is shot chronologically and actors are often not given a script or dialogue until the day of shooting itself. They may not have foreknowledge of the actions or speech of others so that they can respond to the fictional situation they find themselves in instinctively and authentically, rather than being rehearsed and intellectualised. There is also no opportunity for premeditated thespian grandstanding! “Your actors’ instinct is the most valuable tool to work with if you work like a painter works with an open edge of paint,” he said, “if you can work with an actor’s instinct, just flow with it, connect to it – just let them be in touch with that.” He continued, “If you’ve read what’s going to happen six weeks in advance, you don’t get that shiver down the spine. Shoot fast – nervous energy is what you need!” Having directed many ground-breaking movies, Loach seems to have hit upon a method of eliciting strikingly genuine performances. Loach’s films often make that ‘visceral connection’ through natural dialogue, taken from what might ‘loosely be called research but is actually just chatting to people’ and the actors’ unselfconscious inhabiting of their roles. He aspires to simplicity and economy, in the script and in the acting, by concentrating on the present and practical. Mr. Loach also revealed that he never allows trailers for the actors, personal assistants, or private cars on his shoots. He avoids anything that might isolate cast from crew but instead encourages a true community spirit by making them all mix and ‘muck-in’ together. Asked by the audience why nobody tries to make films with his style of political commentary anymore, Loach sympathised with young filmmakers in their difficulties in finding funding for any movie, let alone a politically oriented one. He hoped that there were filmmakers out there pursuing work fuelled by a similar passion and anger, but he also insisted on a love for the medium itself, not solely as an instrument of political argument.